Can you freeze cheese? That is one of the most asked questions on the Internet. The answer is YES, you can freeze cheese, and these other 20 foods, too! Alright friends! Years and years ago I ran a “deal saving website”. I became a very frugal person and this is when I realized my passion for cooking. Once I sold the website, I got very serious about ridding the chemicals from the foods I was feeding my family. In fact, the first recipe I ever tried was a Homemade Hershey Syrup recipe. It wasn’t as chocolaty as I had imagined so that’s when I ended up perfecting the recipe in my own kitchen! Now, I know a lot of people say that coupons are for those products that contain chemicals, are processed and just not good for you. While there is some truth to that, I’ve been seeing an amazing increase on items that I purchase for my family every week become less expensive while being more abundant. I think the major companies are paying attention to this & you should too! That right there is why I launched MyHeavenlyRecipes.com – to help you put better meals on your table that aren’t processed, contain dye’s or GMO’s. Alright, let’s get you to the point of why you are here. 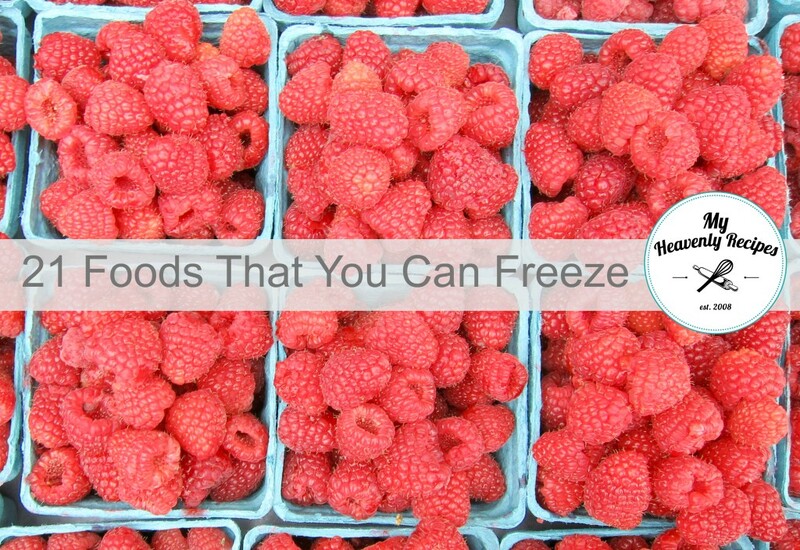 Here are 21 foods that you can freeze in your home tonight. I freeze cheese, and actually each and every single one of these items in my own home. So if you have a question, be sure to leave a comment and I’ll be sure to get you an answer ASAP. What are some items that you freeze in your freezer? I LOVE LOVE LOVE my deep freezer, I don’t think I could live without it!